We recently made some technical tweaks to a number of our services, namely Mango Vibe, Weather 24/7 Radio and Totally Radio. One of the changes might be obviously to those listening carefully, the other change might not be noticeable. Either way, if you listen to any of these three services in particular, please let us know any feedback you have about them. Have you noticed anything different? We’d like to hear from you. 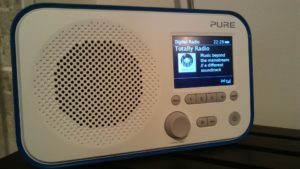 Previous Previous post: Chill out music now available on Portsmouth digital radio!